KORONADAL CITY- The provincial government of South Cotabato, along with the Department of Agriculture (DA), turned over to cooperative beneficiaries five cargo trucks. In a ceremony held on March 4, the officers of the cluster member cooperatives of the Production of Cassava Granules and Marketing Project signed the memorandum receipts for the five forward cargo trucks worth P1.5 million each or a total of P7.5 million. The said amount is part of the P35 million enterprise project funded jointly by the provincial government of South Cotabato, the DA-Philippine Rural Development Project (PRDP), and the project Proponent Groups. Cluster member beneficiaries include Topland Multipurpose Cooperative (MPC); San Jose MPC; Nelson Ontal, Pobusila-ARB-MPC; Self-Reliant MPC; and the Polo SN MPC, the lead proponent of the cassava project. “The long wait is finally over,” Raul Gerada, Polo SN MPC chairman, expressed. He added that the effort of the farmer cooperators and the technical personnel from the local governments and government agencies involved had been paid off. 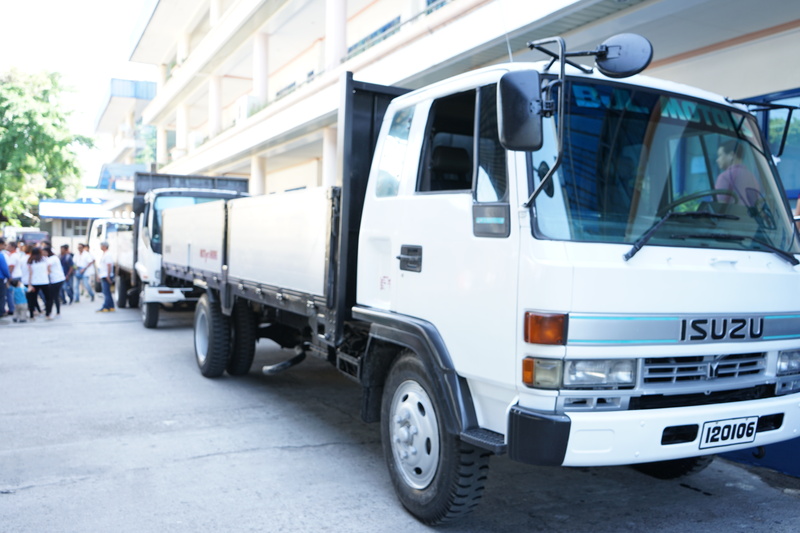 With the complete delivery of trucks, the cassava enterprise is now considered as a completed subproject in terms of procurement, wherein all of the interventions stated in the business plan are now fully turned-over to the coops. This subproject will benefit the South Cotabato cassava industry which provides livelihood to more than 40,000 farmers in the province, which has the highest average yield per hectare in the country at 34.51 metric tons.